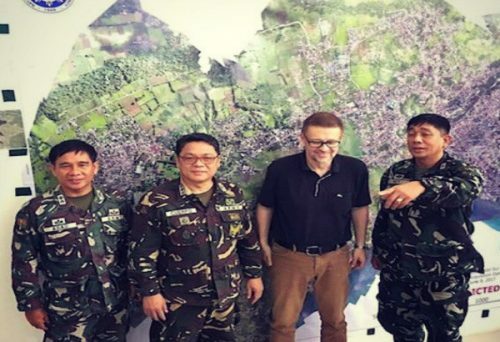 Andre Vltchek with military leaders in Marawi, Philippines. 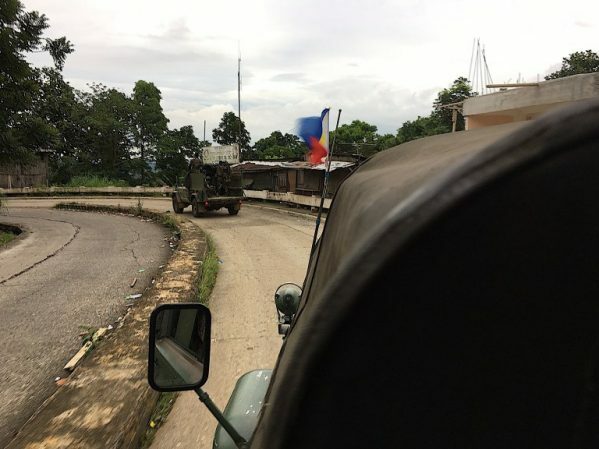 Covering the recent battle for the city of Marawi on Mindanao Island in the Southern Philippines, the Western media has been grossly exaggerating unconfirmed reports and rumors. It has been spreading twisted information and ‘facts’. My contacts in the capital informed me via text messages that I had been “red-flagged,” clearly, by the pro-US faction in the Philippine military. 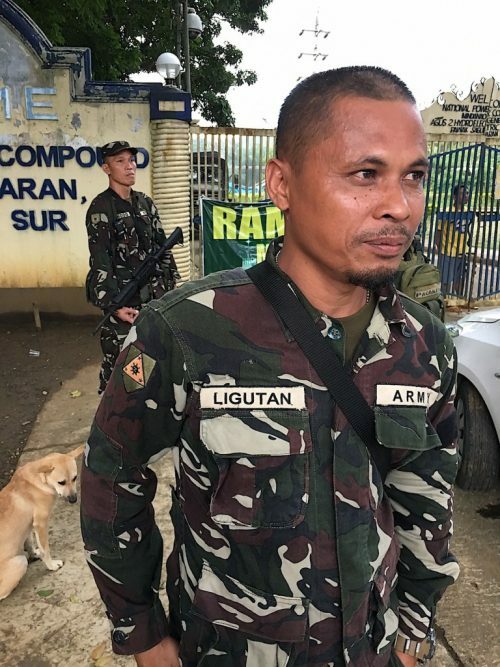 So before my presence was finally cleared from Manila, I was detained and held in a provisional military base in the city of Saguiaran. Here I was “softly” interrogated by military intelligence. 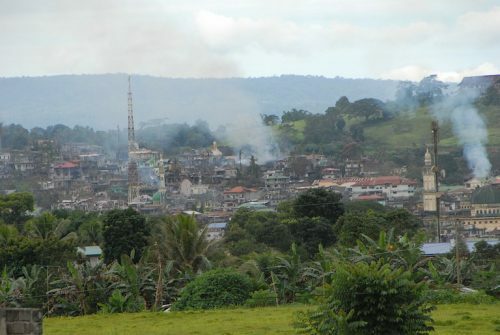 A few steps away, a howitzer was firing artillery toward ISIS positions in Marawi, some 10 kilometers distant. The pro-Western fraction obviously wanted me out, detained, perhaps even disappeared. 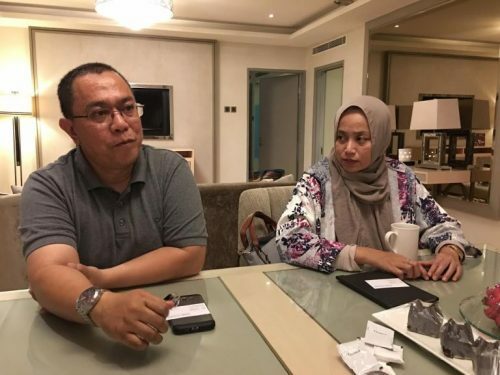 The other one that stands by its president wanted me to see the truth, even to be allowed into Marawi. 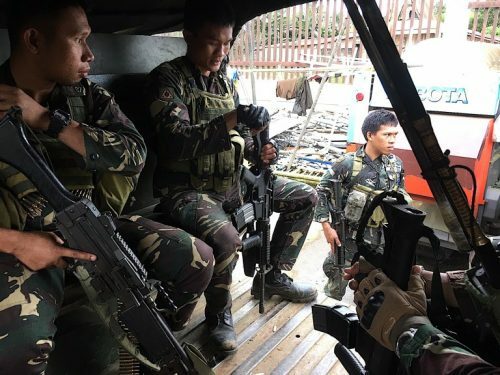 The difference between this martial law and those that were imposed during the reign of Ferdinand Marcos is that now the military is mainly doing real fighting while providing assistance to the civilians. I absolutely don’t interfere with the work of local elected government officials. I’m actually encouraging them to do their job as before, asking them to contact me only when my assistance is needed. I never took, and I don’t intend to take, control of the area. 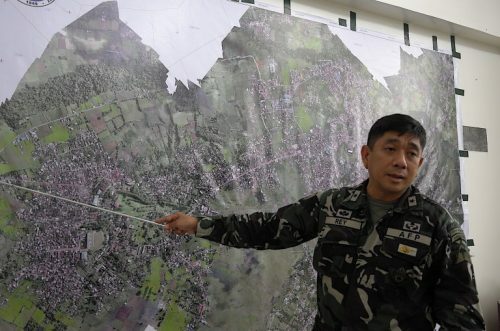 The ISIS wants to establish their state on the island of Mindanao – an Islamic caliphate – right here in the Province of Lanao del Sur. But that’s not what the majority of local people want. 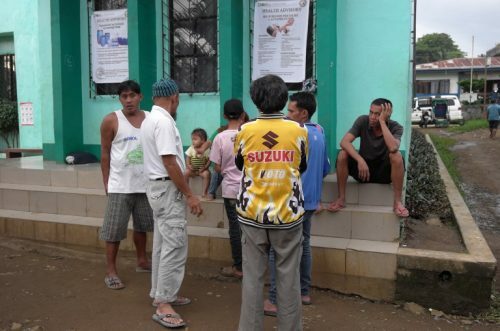 Before President Duterte came to power little over one year ago, social situation in many parts of Mindanao was desperate and therefore there was at least some support for radical ‘solutions’. Since then, however, things changed dramatically. Healthcare, education and public housing are improving. Indiscriminate mining by multi-national companies has been deterred. People here, as well as in almost all other parts of the Philippines, finally feel hopeful and optimistic about their future. We could take the city in just one day, but there would be great civilian casualties. The houses in this area are very sturdy; they are 2-3 stories high and fortified, as there are constant and brutal family feuds, called’ rido’, raging here, and have been for centuries. These people belonging to the ISIS are not only terrorists, but they are also criminals. They were dealing in drugs… And some local people knew that… Actually, locals knew quite a lot; they knew about the presence of the terrorists in the area long before all this started, but they never reported it to the authorities. In the Philippines, those who have money can buy as many weapons as they want on the black market. In one of the safe houses, we found passports issued in Indonesia, Malaysia and several Arab countries. Since World War Two, the U.S. was afraid of so-called ‘domino effects’. Among other things that are now happening in the Philippines under president Duterte, the government is curbing activities of the multi-national mining conglomerates, and the West cannot accept that. 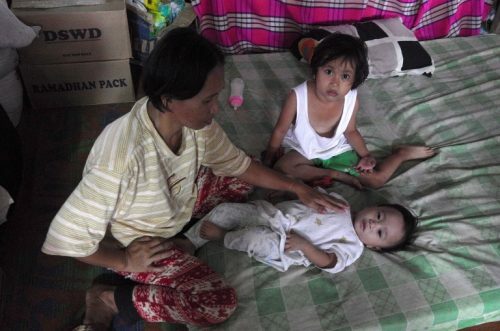 Philippines are putting its environmental concerns above the short-term profits! For the millions of left-wing activists here in Indonesia and all over Southeast Asia, President Duterte is a role model. The reason why the West is hostile toward President Duterte is simple: he is working hard to reach a peace agreement with China, a country that is seen by Washington as its arch-enemy. Another ‘adversary of the West,’ Russia, is admired by Duterte and increasingly by his people. Recently, Russia and the Philippines signed a defense agreement. 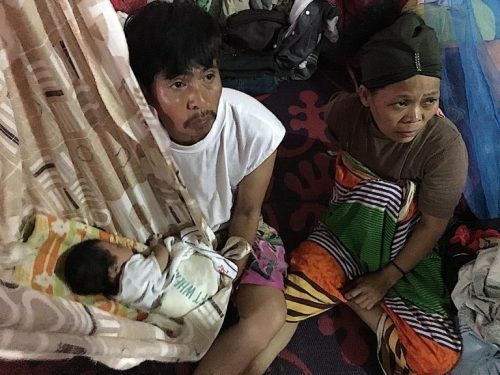 The president is also forging close ties with Cuba, particularly in the area of health… Before Duterte became our President, poverty by design in Philippines was restored and perpetuated by the U.S. and Malaysia-controlled Cojuangco-Aquino clan. Foreign and local entities that have long benefited financially from Philippines being a weak state are now threatened overwhelmingly by President Duterte’s unifying agenda to create a socialist system in the Philippines. Malaysia benefits from Mindanao being in a perpetual state of chaos and conflict because this means we can never reclaim oil-rich Sabah. As exposed by Rigoberto D. Tiglao, a Filipino diplomat and writer, Indonesian magnate Anthoni Salim, not only does have total control or substantial stakes in local mainstream media papers and networks, his conglomerate in Philippines is also based on telecoms, power, water distribution, and other public utilities. 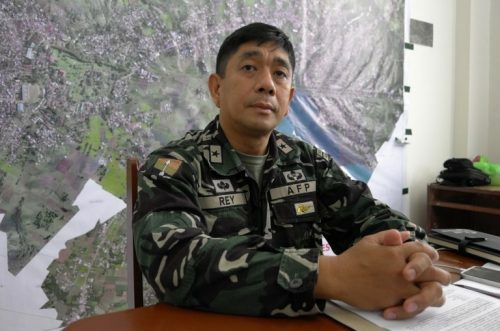 There is no foreign help coming… Almost all that we have here comes from Manila, either from the government or local agencies. Duterte is working very hard, helping our people. 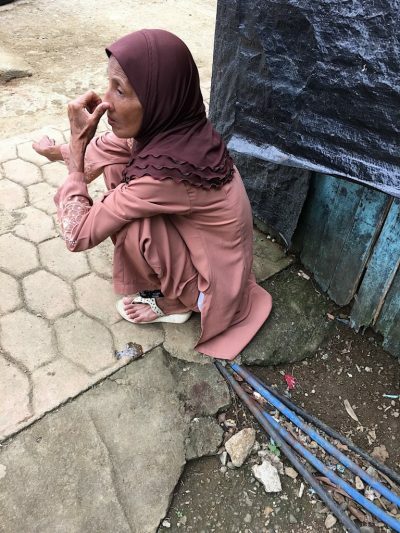 Marawi is just one new chapter in the already long book of horrors of brutal religious terrorist acts, most of them directly or indirectly triggered by Western imperialism. In the first wave of its fight against the secular socialist Muslim governments, the West destabilized Iran, Egypt and Indonesia. Then came the Afghanistan ‘gambit’, followed by the arch-brutal destruction of Iraq and Libya. Then it was Syria’s turn. All this I described in my 840-page book: Exposing Lies Of The Empire, but one can never write fast enough and fully catch up with the crimes committed by the West. 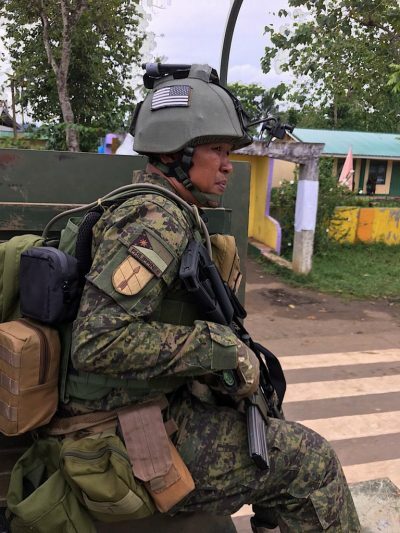 This article was posted on Tuesday, July 25th, 2017 at 11:14am and is filed under "The West", Espionage/"Intelligence", Media, Militarism, Philippines, Resistance, Terrorism (state and retail), United States.